Hurrah! 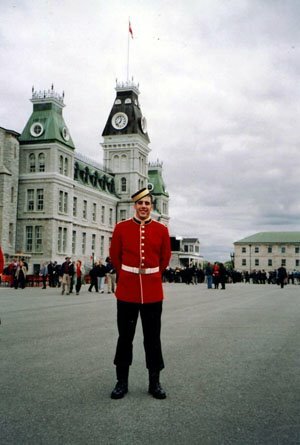 My nephew is graduating from RMC (Royal Military College) in Kingston, Ontario this weekend, and, like so many of his colleagues, getting married NEXT weekend. His parents(my older sister and her husband) are up from Washington, DC (Daddy is Canadian military). And "Grand Papa" is here from the London area- lots of activity going around, let me tell you! And, for those who are interested, here is the website, ( go here-http://www.rmc.ca/home_e.html ) with a gratuitous picture of the "boy" from last year- isn't he cute? Gotta go and knit- deadline fast approaching!